A welcome address speech - discover the secret, learn the welcome-acronym and assume the role of a confident and poised speaker. It's that easy! Follow the guidelines below; visualize them in our example of a welcome speech and then apply the guidelines to suit your personal welcome speech needs. That's it - Welcoming Wizard Whiz 101 done - you graduated with flying colors! Good evening; Professor and Mrs. Smith, Chairman of the Board of Governors, Board Members, Honored Guest and Advocate Green from the Education Council. May I take this opportunity to welcome you all, and to extend a further word of welcome to everyone here this evening. The Opening Day of our new School is certainly a moment that we should all savor and enjoy. If you take a quick look around you, I'm sure you will all agree that our School has come a long way in the last few months. It all started as a dream. [Insert name of company] envisioned the dream of establishing a world class educational institution; a School that would mold and guide future generations of enlightened minds. We would like to extend our gratitude and thanks to all the role players that have made it possible for the dream to become a reality. Tonight marks this occasion - the Opening and Commencement Ceremony of our School. In the movie Butch Cassidy and the Sundance Kid, Butch says, "Sundance, when we're done, if he is dead, you're welcome to stay!" Well, rest assured, such extreme measured are not needed here tonight. You are all most welcome to stay here this evening. I hope you enjoy the rest of the evening's program and thank you for sharing this special event with us. Your welcome address speech should be brief and concise as you aim to welcome the members of the audience and special guests. If you are the only keynote speaker of the evening, then the welcome speech could preface your actual formal presentation. 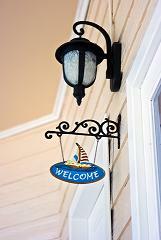 You are welcome to use the welcome-acronym...hope it sparks your creative ideas!